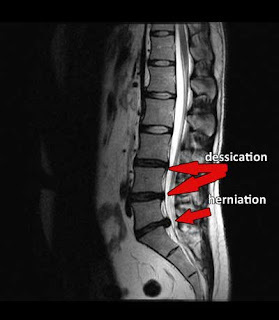 Is it safe to preform spinal decompression on a patient that had a cervical fusion? I recently completed a spinal decompression protocol on a patient that had anterior cervical discectomy from C3 to C5 with anterior cervical decompression and fusion from C3 to C5. The patient had complaints of right bicep weakness even after the surgery. He was very active and wanted to return to his daily activities of bike riding and horse back riding. I consulted with his Spine Surgeon and he said it was safe to use spinal decompression on his neck. I often treat patients that have had lumbar discetomy with great success. The patient tolerated the treatment well and results came quickly, we also utilized Cold laser therapy (Erchonia) on his Brachial plexus and cervical nerve root regions. I am happy the patient had the ability to regain use of his arm and is back to his regular activities. If you live or work in NYC and have had either a discetomy in the lumbar or cervial region and still have pain call us.